And strangely enough it can also cause fatigue, weakness, joint pain and stomach pain. Long term exposure to excess iron can poison major organs and cause cancer, cirrhosis of the liver and heart attacks. So like the classic Goldilocks, you want neither too much nor too little. Ensuring healthy levels depends on your age, gender and overall health. Women who are menstruating need more iron – about 18mg/day – than non-menstruating women and men who need about 8mg/day. Malabsorption is also a consideration as to how much you should take. To check your iron levels, get a blood test done. Request a full blood count and your ferritin level (stored iron). Either too high or too low means you need to take action. Here’s where it gets interesting. There are two types of dietary iron – heme iron from animal sources and non-heme iron from plants, and it’s worth noting that animal products do contain non-heme iron as well. Heme iron is much easier for the body to absorb than non-heme iron, and a way to increase uptake is to take some Scorbi-Cee or other vitamin C with an iron-rich meal. Vitamin C will increase absorption of iron from that meal. But certain substances in some foods inhibit iron uptake (quite seriously) like the phytates found in grains and the tannins in tea and even coffee – they can decrease iron uptake after a meal by 60%. Therefore if you are deficient, don’t eat grains or legumes, and don’t drink tea with or near to your meals. Eggs and dairy actually only have non-heme iron – NOT heme iron which is interesting! Therefore if you are only eating dairy and eggs as a protein source, you will still be short of heme iron. The non-heme rich foods have phytates – like beans and lentils, and spinach which has some iron is pretty rich in oxalates which can cause kidney stones which means you have to eat an awful lot of spinach to get even close to enough for one day. Heme iron is certainly the best way to deal with a deficiency. You can take supplements of course, but one of the biggest drawbacks of oral iron therapy are the possible side effects which include nausea, constipation, abdominal discomfort and joint stiffness. To add insult to injury, the ferric types of iron you buy are often very poorly absorbed. Infusions come with their own pros and cons too. We have wonderful bodies – they will absorb more iron when we are deficient than when we are replete. Complications of anaemia include heart problems, irregular heartbeat, low birthweight and growth problems in infants and children who don’t get enough iron from their food (one reason never to make a child vegan). The body absorbs more iron from meat than any other source, and take vitamin C with the meat if you are deficient, and not drink tea near the meal. You could also eat high-vitamin C containing foods like broccoli, leafy greens and tomatoes if you are eating meat, to enhance uptake if you don’t take vitamin C. However food today is not as nutrient rich as it should be, so this may not help much. Organic food is far higher in nutrients, if you can get it. 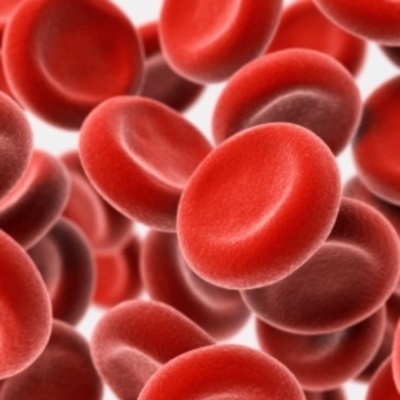 Haemochromatosis (HC): I felt I should briefly mention this while on the subject – this is the name used for iron overload. Heme iron is best absorbed and non-heme iron poorly absorbed. But in haemochromatosis an interesting thing happens. If you do NOT have HC, 20-30% of heme iron consumed is absorbed from a meal. In the case of HC though, the absorption of heme iron is 4 times more – almost all the iron in that meal will be absorbed. If you are deficient, cooking in iron pots will help as will taking vitamin C with meat as explained earlier, don’t take calcium supplements as they stop iron uptake, and have tea and coffee (including green tea) at least 2 hours or more away from a meal. If you suspect you have either too much or too little iron, please speak to your doctor or health care provider – both too little and too much are serious. You want just the right amount.